1 Grind the soaked and drained moong dal, green chillis, ginger and salt to a slightly coarse paste. There is no need to add water while grinding. Remove onto a dish and add the chopped onions, mint leaves, cumin seeds and mix well. 2 Heat oil in a deep frying vessel. Once its piping hot, reduce flame to medium and drop a little mixture of the batter and fry the fritters to a golden brown color. Deep fry a batch of 8-10 punukulu depending on the size of the vessel. 3 Serve hot over a cup of masala chai. Excellent. perfect for rainy season. Great recipe. Never tried out a combination of mint and green mung dal. thanx 4 the yummy recepies, right now u r giving us just what we crave 4. moong dal fritters were a hit, They were finished within no time, we had them with tamarind chutney, though not needed. keep it up & let’s all have a rainy season blast. I’m a devoted visitor of your site but never left a message before. I have tried a lot of your recipes and needless to say they all turn out to be amazing. 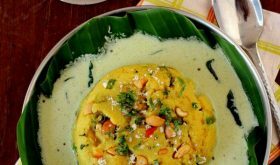 I have question regarding this recipe, I have around 2lb of moong dal flour, is it possible to make these fritters with that, if not what else I can use the flour for? Please let me know. 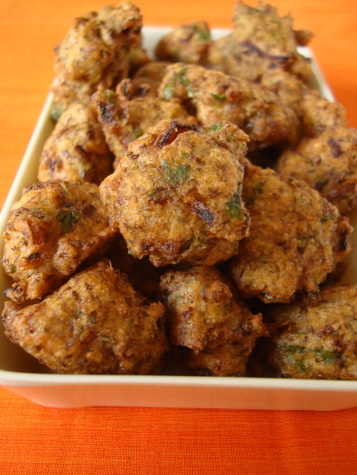 You cannot make fritters with the moong dal flour. But you can make murukku, jantikalu, adai, dhokla and dosas. They sound sooooooooooooooo lovely dear and perfect for monsoon. Looks similar to karavadai. Best snack on a rainy day. 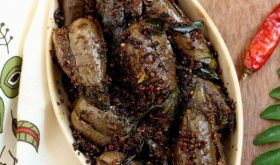 Hi Sailu, regarding this recipe do we have to use the moong beans I mean the full ones or half moong with the skin on. You can use either of them. Whole or split green moong dal. just want to clarify…not the yellow moong dal?? They are nice 100% tea time snacks. our entire family loved it and enjoyed it. thank you for sharing such a fine item. hi sailu, u never mentioned d texture of d batter. Should it be a smooth paste or coarse? It should be a slightly coarse batter. Just short of a smooth batter. Thanks for the post and looks very simple too.. Does this consume lot of oil? They do not absorb oil unlike few deep-fried snacks. 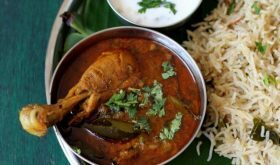 Thanks for the quick reply Sailu.. Can this be prepared with yellow (half-broken) moong dhal too? Again.. your recipes are amazing.. I always used to wonder that you are master in so many varieties of dishes.. Whenever i need any recipe yours is the first site i refer to. 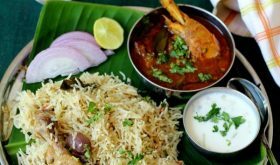 It’s amazing.. For children this dish is yummy..
Your’s is such a wonderful site, especially for people like me who never knew the abc of cooking before marriage. It has been over a year i got married and i depend on your site everyday for the dishes. I can never thank you enough for this. 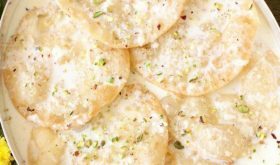 hi sailu garu…pesara punukulu is an awesome tea time snack.. I am regular visitor of your website to become an expert in cooking. Thanks for your all variety of recipes. 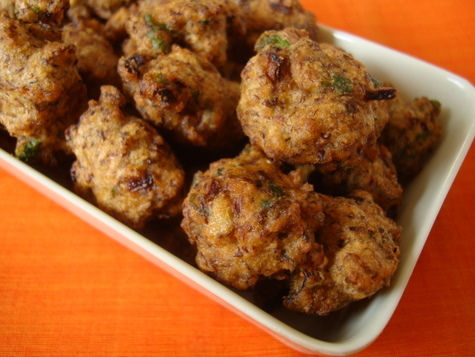 sharing ur recipes…Here is my question when ever i tried moon dal fritters,they popped…can u please suggest me….